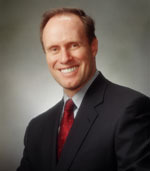 Stephen M. R. Covey is co-founder and CEO of CoveyLink Worldwide. A sought-after and compelling keynote speaker and advisor on trust, leadership, ethics, and high performance, he speaks to audiences around the world. He is the author of The SPEED of Trust, a groundbreaking and paradigm-shifting book that challenges our age-old assumption that trust is merely a soft, social virtue and instead demonstrates that trust is a hard-edged, economic driverâ€”a learnable and measurable skill that makes organizations more profitable, people more promotable, and relationships more energizing. He advocates that nothing is as fast as the speed of trust and that the ability to establish, grow, extend, and restore trust with all stakeholders is the critical leadership competency of the new global economy. 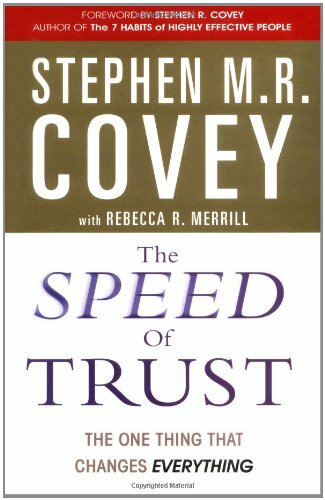 Covey passionately delivers that message and is dedicated to enabling individuals and organizations to reap the dividends of high trust. Audiences and organizations alike resonate with his informed, practical approach to real-time issues that affect their immediate and long-term performance. He is the former CEO of Covey Leadership Center, which, under his stewardship, became the largest leadership development company in the world. Covey personally led the strategy that propelled his fatherâ€™s book, Dr. Stephen R. Coveyâ€™s The 7 Habits of Highly Effective People, to one of the two most influential business books of the 20th Century, according to CEO Magazine. A Harvard MBA, he joined Covey Leadership Center as a Client Developer and later became National Sales Manager and then President & CEO. Under Coveyâ€™s direction, the company grew rapidly and profitably, achieving Inc. 500 status. As President & CEO, he nearly doubled revenues to over $110 million while increasing profits by 12 times. During that period, both customer and employee trust reached new highs and the company expanded throughout the world into over 40 countries. This greatly increased the value of the brand and company. The company was valued at only $2.4 million when Covey was named CEO, and, within three years, he grew shareholder value to $160 million in a merger he orchestrated with then Franklin Quest to form FranklinCovey. Over the years, Covey has gained considerable respect and influence with executives and leaders of Fortune 500 companies as well as with mid- and small-sized private sector and public sector organizations heâ€™s consulted. Clients recognize his unique perspective on real-world organizational issues based on his practical experience as a former CEO. Covey currently serves on the board/advisory board of several entities, including the Human Performance Instituteâ€”the leader in energy management technologyâ€”where he serves as Advisory Board Chairman. Covey resides with his wife and children in the shadows of the Rocky Mountains. In this powerful audio book, Stephen M.R. 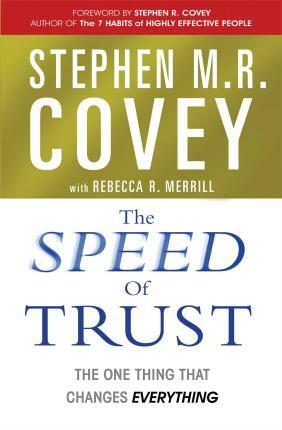 Covey articulates why trust has become the key leadership competency of the new global economy. 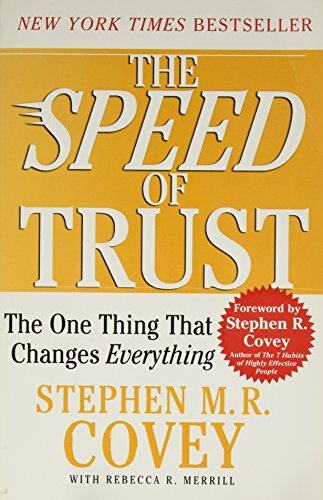 Covey convincingly makes the case that trust is a measurable accelerator to performance and that when trust goes up, speed also goes up while cost comes down, producing what Covey calls a "trust dividend." Covey reveals the 13 Behaviors common to high-trust leaders throughout the world and demonstrates actionable insights that will enable you to shift your behavior to increase trust in all your relationships. Like a ripple in the pond, The Speed of Trust begins within each of us personally, continues into our relationships, expands into our organizations, and ultimately encompasses our global society.